Why are the FAANGs not biting? 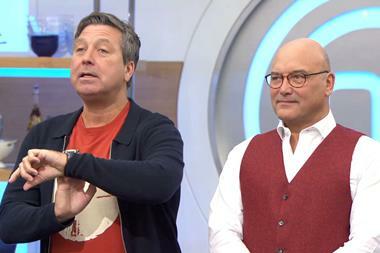 Aa the bidding for Endemol Shine Group draws into the final phase, speculation over which company will land the MasterChef maker has been rife. The Who’s Who of potential buyers spans broadcasters like ITV and Germany’s RTL Group (owner of Fremantle Media), production groups such as Banijay and Lionsgate, and cable company Liberty Global – joint owner of All3Media. Yet there has been nary a whisper that the big tech giants are even vaguely interested. So why aren’t the FAANGs (Facebook, Apple, Amazon, Netflix and Google) willing to write a cheque for anywhere between $2.5bn (£1.9bn) and $4bn (£3.1bn) to buy Endemol Shine? Maybe they’re just better at keeping their names out of the news? Somehow, I doubt that. Big tech platforms simply might not be interested in the vertical integration story that is the mood music among legacy media players. Maybe their deep pockets and global platforms mean they don’t need to own production companies like Endemol Shine. One industry wag claims that Netflix and Amazon recognise they are spoilt for choice when working with indies – theirs is the best way to squeeze the best product out of the best producers at the best prices. The big tech players are tying up key writers and showrunners with first-look and exclusive output deals. The latest is Netflix’s multi-year deal with Safe writer Harlan Corben to develop the author’s 14 existing books into both English-and foreign-language series and films. Maybe the FAANGS realise the production business is low-margin, volatile and full of ‘difficult’, hard-to-manage talent. That may be true, but Endemol Shine has valuable IP and a global production footprint. Perhaps the FAANGs don’t see the need for a big production arm right now. For legacy media players, the opposite seems to be true: vertical integration is the new mantra. Look at Disney’s bid to buy 21st Century Fox and AT&T’s purchase of HBO owner Time Warner. John Stankey, the new head of renamed Warner Media, has demanded HBO significantly ramps up the number of hours of content it makes to compete in the new on-demand world. Clearly, the business model for indies is changing. The big tech firms have driven that change, specifically in relation to IP ownership. For indies – even big ones like Endemol Shine – this has been an important component to building sustainable business models. However, global SVoD services want global rights in perpetuity. They sign big cheques for them, but this is a blow to the proven, traditional producer-distributor model. Of course, the price tag for Endemol Shine will be a factor for the buyer as well as the seller, because Disney has shown no interest in the 50% of Endemol Shine that Fox holds. Indeed, the bankers leading the sale process have made it clear that in any sale, Fox may retain a stake in Endemol Shine. Perhaps Disney is worried that adding Endemol Shine to its portfolio along with the Fox entertainment assets would run afoul of regulators. Perhaps Disney thinks that the Endemol Shine portfolio looks a bit tired. Others quietly question: would Mickey Mouse live comfortably beside Big Brother? So what does vertical integration really look like and will it be enough to fend off the FAANGs? Will buying a producer like Endemol Shine help? In an app-based world where on-demand, box-set content increasingly becomes the norm, will programme brands like Black Mirror (from Endemol Shine UK’s Zeppotron) become even more crucial? Netflix thinks so and bought the show, even if it isn’t interested in the group. Good IP and good stories are the winning factor in this race. If the FAANGs don’t have Endemol Shine in their cross-hairs today, this won’t preclude them buying super-indies tomorrow. Perhaps that future is nearer than we think.